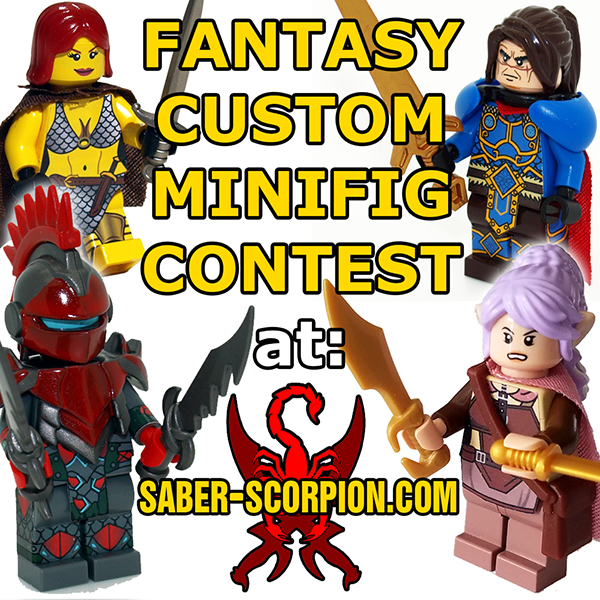 Only LEGO entries are accepted, but you may use off-brand accessories of any and all kinds, including stickers from Saber-Scorpion's Lair! Feel free to cut, paint, use clay - whatever you like. Or you can go purist, if that's your thing. A panel of 5 judges will decide the winner for the contest. So far the judges are Saber-Scorpion, Maverick-Werewolf, and Brickshipyard. Each winner will get a code they can use to take a certain amount of money off one order from my shop (it also subtracts from shipping, so your order can be completely free!) and a medal icon added to their account here on the forums as seen in the Hall of Fame! 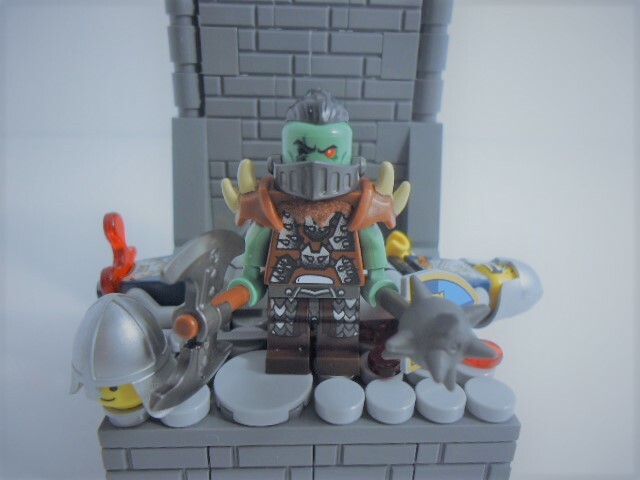 *Wulfgard themed entries will also receive a Wulfgard bookmark and a big pile of Wulfgard minifig stickers if they win! And possibly even if they don't win! New rule: For every 5 contestants who enter the contest, I will add $1 to each prize! * It's a very easy contest to enter, so spread the word, and you could win even more stuff! *Up to a certain limit, to be decided by me. Hopefully we reach it! Just reply to this topic with a link to your entry! 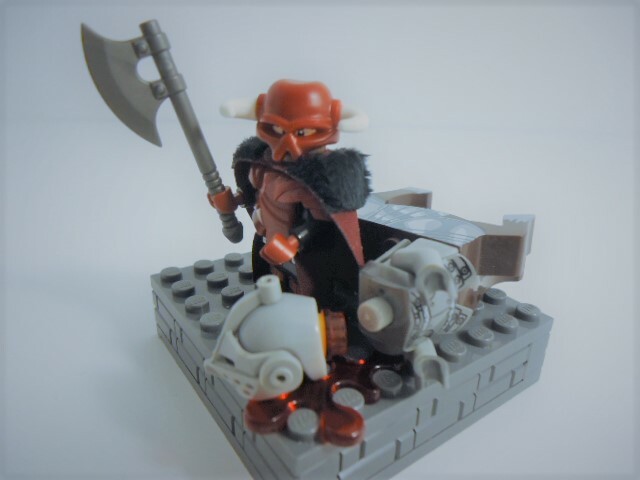 Yes, you must have a forum account to enter, and I encourage you to post your entry as a topic in the LEGO board here on SSLF! But you can post it elsewhere if you prefer. You may submit up to 2 entries. THE DEADLINE HAS BEEN EXTENDED TO MAY 10th! If you have a question about the contest, please ask in a reply! I will paste important questions/answers here. Excellent! Now, time to come up with something really unique! I will also be entering, reserving a spot now. I plan to enter as well. Can two characters be in one entry? What I mean is, can I have two characters be twins and put them both in as one entry? Be bold and upright that God may love thee. Speak the truth, always, even if it leads to your death. Safeguard the helpless, and do no wrong. Hmm... I suppose so, if they are strongly themed together - like, their costumes match or they fit together in some way. If they just seem like two very different, independent characters who just happen to be twins, then I would have to ask you to enter them both separately. Otherwise it seems possibly unfair to allow two entries in one. Hopefully this makes sense. ^ it does! I'll look at what I've got in the next few days and see what I can come up with! Actually, I may not have time. I'll enter if I free up some time, though if not, I'm officially revoking my entry reservation. Sorry. We have a volunteer judge already though: Brickshipyard. Still 2 slots open for judging, if anyone wants to volunteer. Nova Patrons/Members get dibs. Except cancelling Firefly. Because that's just not cool. It's a very easy contest to enter, so spread the word, and you could win even more stuff! I am quaking with fear at how good Nightstalker's eventual entry is going to be. I'll try and get another entry in soon. Oy! Don't be scared of me. Trust me, what I'm coming up with is easily beatable! I'm honestly curious to see what all the entries will be. Again, there are some really awesome customizers on SSLF. ONE WEEK LEFT IN THE CONTEST as it currently stands! If anyone is still working on an entry and needs a time extension, let me know. I may just extend it anyway and try to round up some more entries... Haven't decided yet. Sorry, Scorp. Been meaning to do this, I just haven't really been in the mood (or maybe just really lazy ). I'll see if I can get something up soon (maybe even later today). One question though: Are entirely brick-built "minifigures" okay? "This means I will not have to regret sending back their envoy short a few limbs." I'm literally waiting the parts for my entry. Hopefully, I won't need an extension. Hmm, can you be more specific? Maybe give an example of what you're thinking?